A signature marimba mallet from Innovative Percussion with a synthetic wool blend yarn and heavier cores for projection. The Tom Rarick Series soft marimba mallets from Innovative Percussion feature large round cores wrapped with a light grey synthetic wool-blend yarn with heavy cores for enhanced tone and large, polished birch handles. 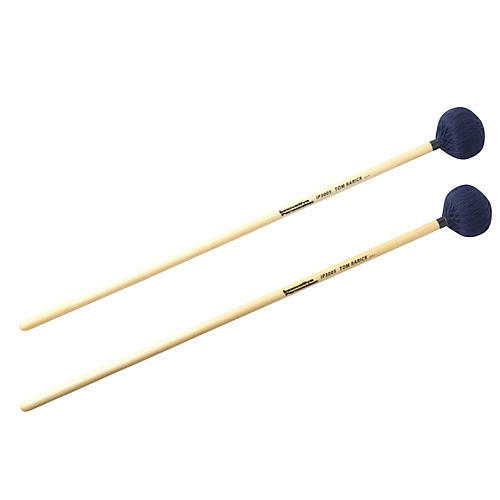 Tom Rarick, percussion arranger for the Bluecoats Drum & Bugle Corps, assisted Innovative Percussion with the design of this unique series of keyboard mallets.